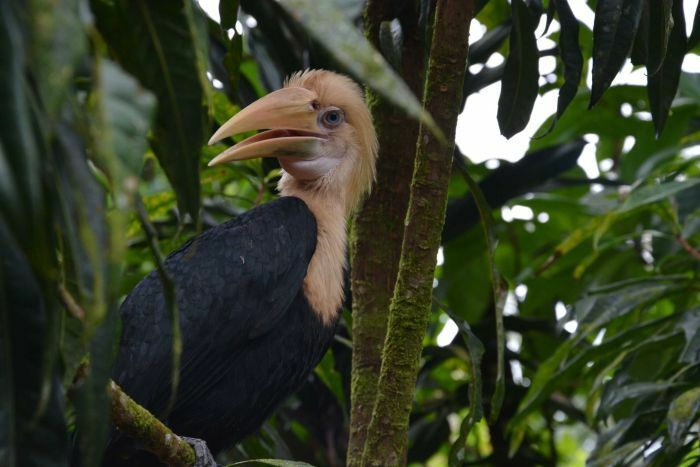 Photo: Baby hornbill at the conservation site on Bougainville, PNG. (Supplied by Dr. Jeffrey Noro) Dr Jeff Noro, who will be in charge of the Bougainville leg of the expedition. Dr Noro, a molecular scientist who did his PhD at the University of New South Wales, is director of The Kainake Project — a community cultural and conservation organisation based in his home village in prime giant rat habitat in virgin rainforest on Bougainville. An expedition to find rare and new species of mammals in a region dubbed “the Galapagos” of the Western Pacific will be the first of a series of expeditions mounted by the Australian Museum in its new Trailblazer series. Scientists are heading to Papua New Guinea’s island of Bougainville, as well as the Solomon Islands, to look for animals such as monkey-faced bats and giant rats. 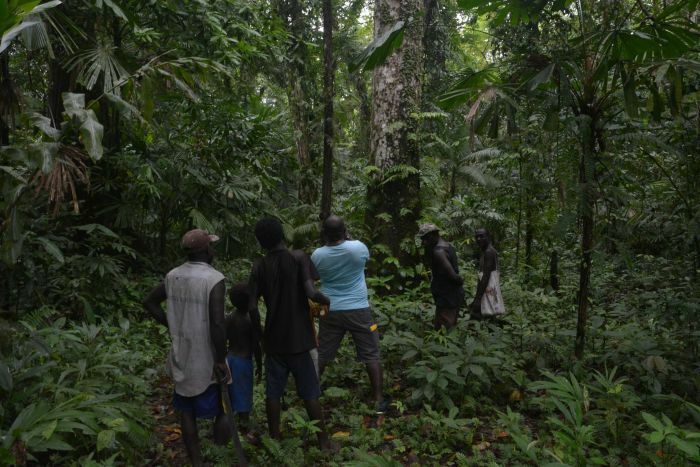 Bougainvillean scientists say they are excited to have been put in charge of the expedition by Tim Flannery, in what has been seen as Professor Flannery working to build leaders in conservation. Professor Flannery, who has just been appointed as “Trailblazer-in residence”, will work with indigenous biologists and communities. “The flora and fauna of the Solomon Islands is very much underappreciated for its diversity and special nature,” Professor Flannery said. “Giant rats and monkey-faced bats are the Solomons’ version of … charismatic megafauna. “These rats are some of the most spectacular rodents on earth. Professor Flannery said the monkey-faced bats were an ancient lineage of bats. “They have such enormous teeth they are capable of cracking green coconuts,” he said. The Bougainville giant rat has not been seen by scientists since 1937 and another species on the island of Malaita has never been recorded. The expedition’s innovative partnership with indigenous biologists and communities is already paying dividends. A skin of the Bougainville giant rat has been found by Dr Jeff Noro, who will be in charge of the Bougainville leg of the expedition. The teams on the ground on each island will set camera traps, test mammal DNA, listen to local people’s experiences and stories of the animals, and examine their hunting trophies. With feral cats and logging adding to the threats to the mammals, the expedition has been labelled timely. Junior Novera, a Bougainvillean who is about to start a PhD in zoology at the University of Queensland, will be the onsite science manager on Bougainville. After years of being part of gruelling field trips in other parts of Papua New Guinea, Mr Novera was delighted to be working at home where the civil war of the 1990s had kept loggers away and habitats relatively intact. “It [this project] gives us this huge opportunity to go and rediscover, and hopefully discover species are still out there and unknown to science,” he said. 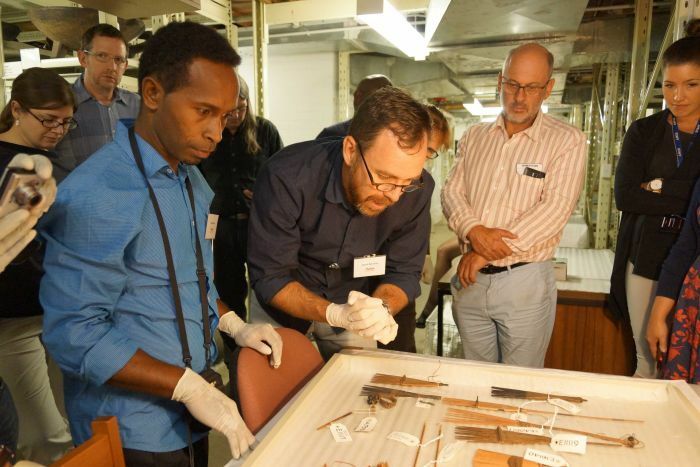 Australian Museum chief executive Kim McKay sees the results being produced by the PNG and Solomon Island cultural and scientific partners as vindication of the decision to put indigenous people at the heart of the project. “We are actually learning from the local community and working with them, and that’s the point of them being here at the museum this week — to share that experience,” she said. As one of the world’s leading experts on mammals of Melanesia, Professor Flannery’s decision to put the Bougainvillean scientists in charge is not being taken lightly. “For him to actually trust us, to say ‘you guys go and take the lead’, I think that is huge for me,” said Dr Noro.